You must think carefully about how well your air conditioner is working. Unfortunately, it can be easy for an AC unit in the Dallas-Fort Worth area to wear out and break down. You might need to get a new AC unit installed in your home. Considering how hot conditions can be in the summer, it is important to look for a new model as soon as possible. Fortunately, you can get a great Dallas AC replacement service to help you out with getting your old AC unit fixed up and replaced as needed. It is important to see what you are getting out of this. You’ll need a replacement if your AC unit is at least ten years of age. Your model will more than likely be out of date. You should see what the humidity in your home is like. You’ll need a new AC model if your home is too humid during the summer. Excessive dust is a sign of a need to get your air conditioner replaced. A poorly operating unit can pull particles from different areas, thus leaving added dust around your home. 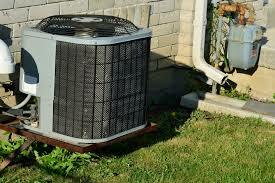 Excess noises in your air conditioner are clear signs of a need to get your unit replaced. The parts within your air conditioner might be at risk of harm. The key is that an older model will not be as effective as a newer one. An older model will have worn out and will need to be replaced as soon as possible. Fortunately, there are plenty of newer options for people in the DFW area to look for. The key is to just find one that you know will be suitable for your cooling demands. Think about the square footage that the AC unit can handle. See that the model can generate enough cool air to fill all the spots in your home. Check on how much power it generates. Air conditioners have become more energy efficient in recent years. Check on the footprint that your unit will take up. Air conditioners come in many sizes. You need to choose one that will fit into the foundation that an old model might have been in. Don’t forget to take a good look at the price of the AC unit. Make sure you check for one that offers enough coverage in your home at a good price. You should look carefully when finding a great Dallas AC replacement option for your home. A new AC unit can be critical for keeping your home comfortable and relaxed. By choosing the right option, you will keep your home comfortable. This entry was posted in Air Conditioning Services and tagged AC Replacement Dallas, Dallas AC Replacement, HVAC Dallas by Whit Kinser. Bookmark the permalink.